BeautifulNote BeautifulNote | BeautifulNote.com is a music production company with the mission to create and promote beautiful music. We believe music can dissolve geographical, cultural and intellectual boundaries. We value sharing and collaboration in music. 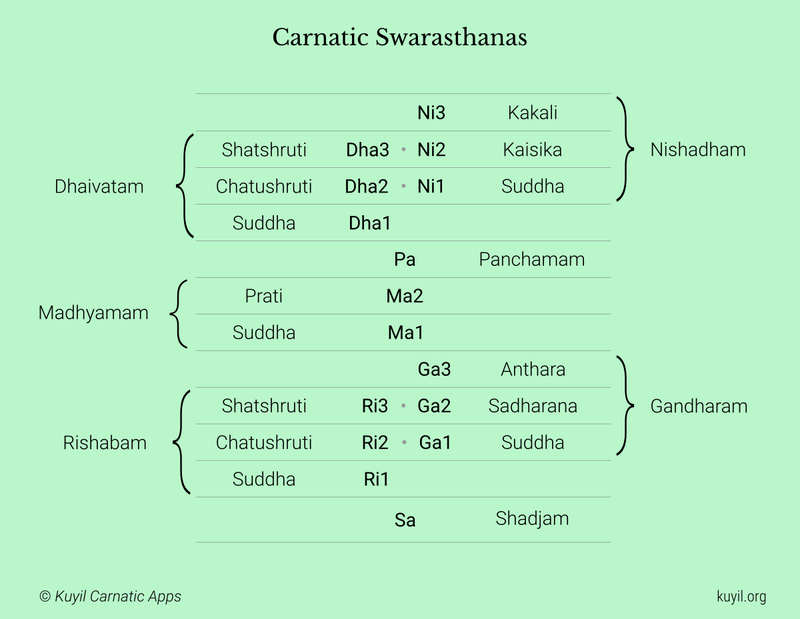 In addition to the usual 12 notes, Carnatic music has 4 more swarasthanas, however they simply share their positions with existing notes. Sounds tricky? Not really, read on. Sādhakam: Carnatic Swara Gnanam Practice is an android app which helps students build their Swara Gnanam. Practicing with the app, doing the interactive exercises, students gradually develop their ability to identify swarams they hear. Hearing a sound and being able to tell the swarasthanam instantly is a wonderful skill, isn’t it? This article describes how the app works, various stages of swara gnanam development, and how to get the most out of it. 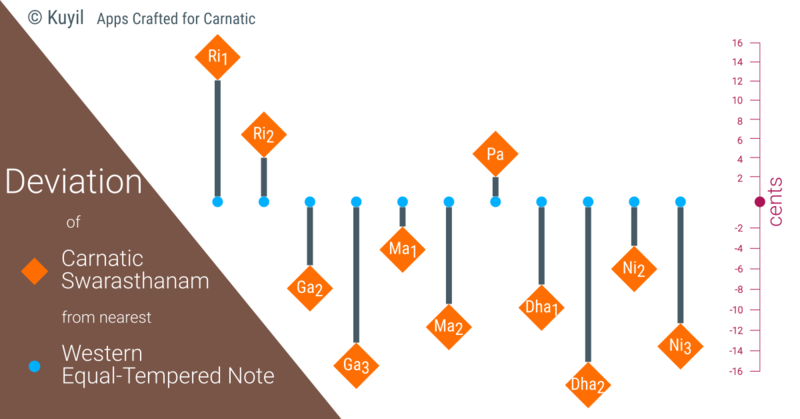 In an earlier post, we had demonstrated the difference between Carnatic Ga3 and its closest matching note on keyboards, the Major 3rd. It sparkled some discussion on forums and social media, and some of the readers began to think that only Ga3 is different from what is on keyboards while other swarasthanas are ok.
Actually, all swarasthanas deviate from their respective western notes! 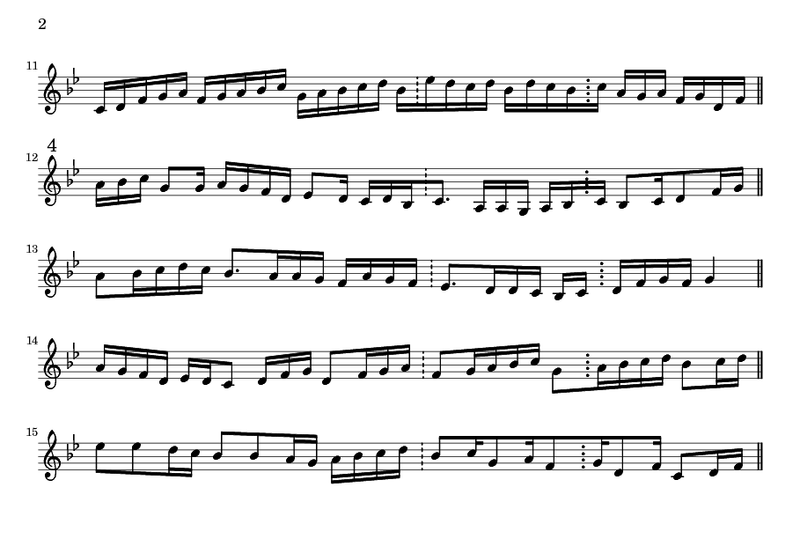 In carnatic music, Anthara Gandharam (Ga3) has a peculiar characteristic. It can be heard clearly even when we play just Sa on tambura. It is a Swayambu Swaram, comes alive automatically due to the wonderful acoustics of tambura. This phenomenon is fundamentally important for carnatic music. 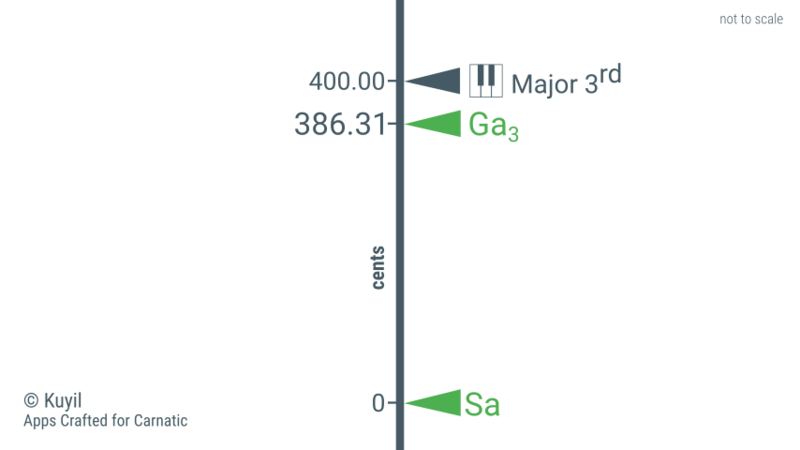 On a keyboard*, Major 3rd is used to approximate Ga3. However, Major 3rd (western music) is 400 cents# whereas proper carnatic Ga3 is at 386.31 cents above Sa (5/4 ratio). Stuff on carnatic music is not usually hard to come by. 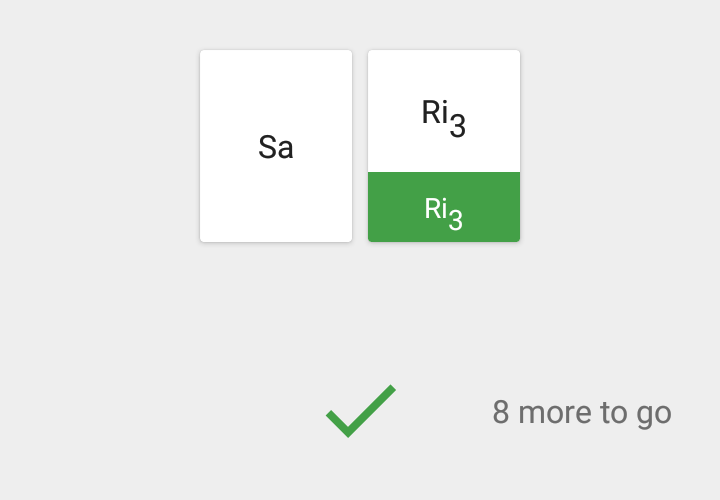 Nowadays, one can look up Arohana/Avarohana of a Raga or list of compositions by a composer with a quick web search. And then there are resources- massive, huge, immense resources- that serious students and researchers should be thankful that they exist online. 14th of February is Musicologist Professor P. Sambamurthy’s birthday. I started reading his treatise, South Indian Music (6 volumes), when I got more than slightly interested in Carnatic music. I can’t say I liked it very much at first. But I knew it was a very important resource and kept coming back to it often. Problem: It’s difficult to go through the musical examples. One must look for the recordings, or try to play them on an instrument (or sing). 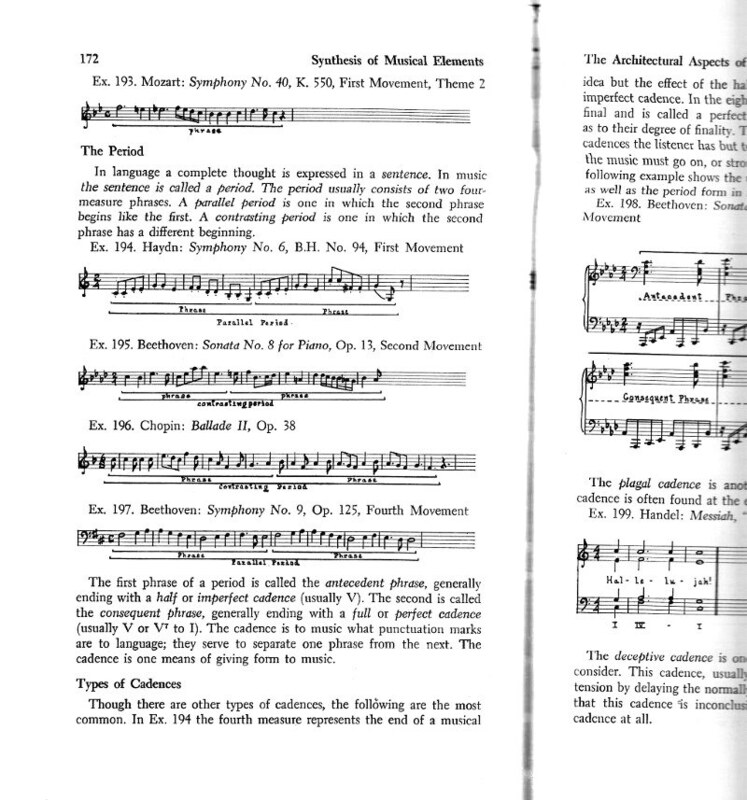 In some books, musical examples are printed in a separate section and referred through out the book (Refer: Ex. 1…). This makes reading the book unnecessarily complicated while the material discussed itself may not be that difficult. 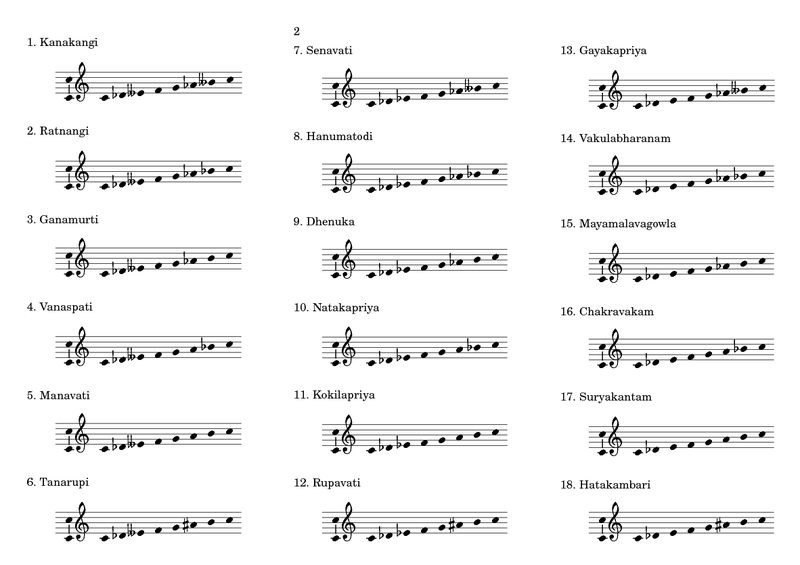 I’ve created a library for Carnatic Music Notations. 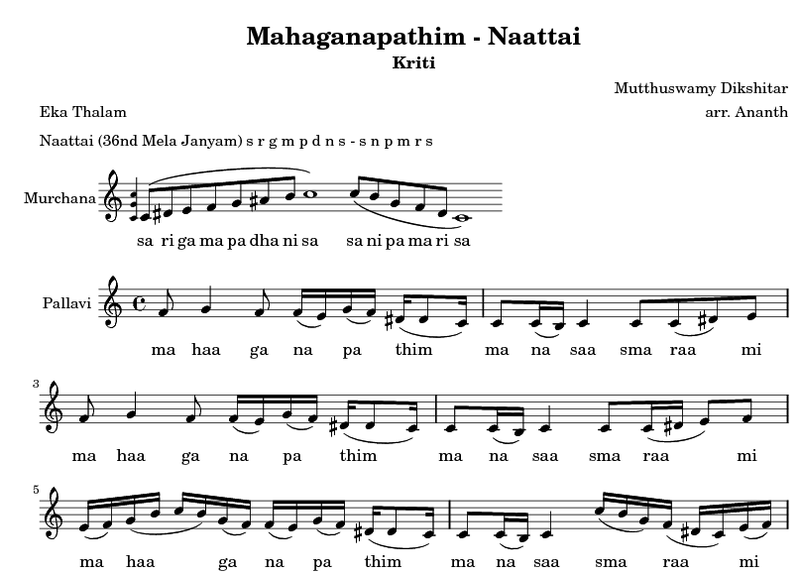 One can download Carnatic Music Notations/Scores for Varnams, Kritis from here. 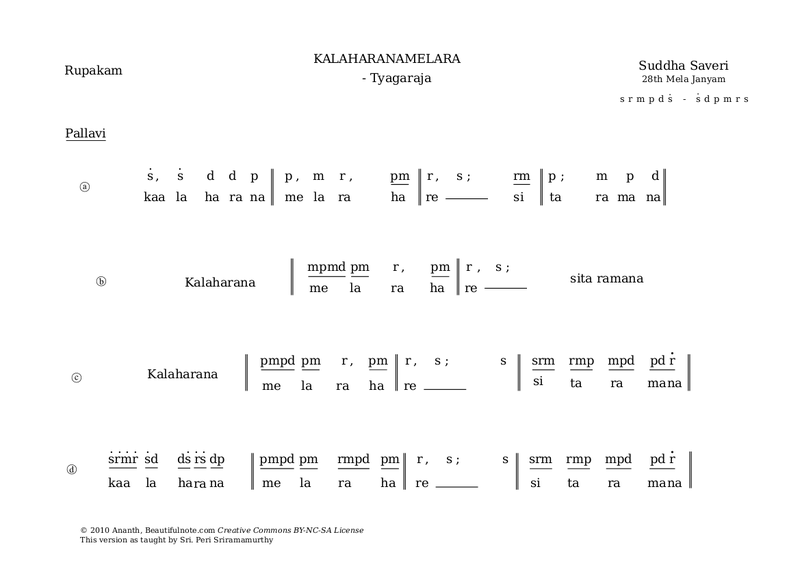 These notations are created by me and can be shared freely among carnatic music students, teachers and practicioners for non-commercial purposes. 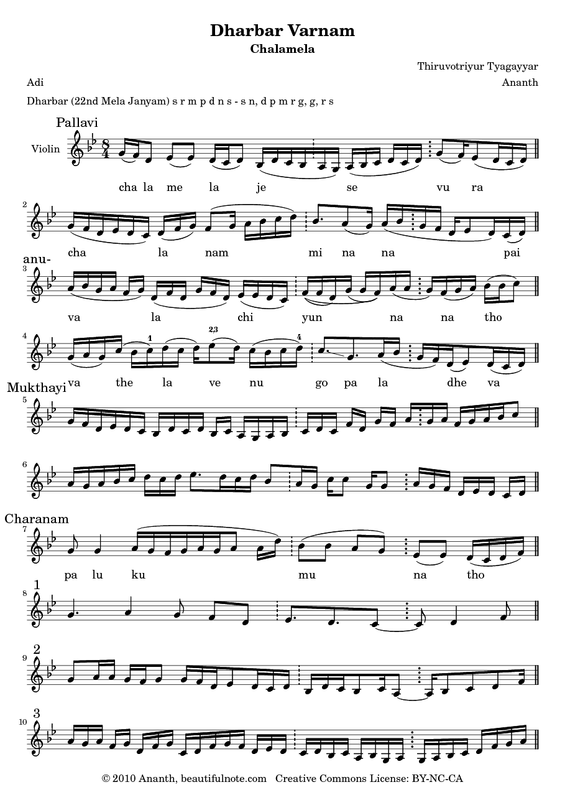 I’ve prepared some study material on Carnatic music theory. These notes are based on the syllabus framed by Potti Sriramulu Telugu University for Certificate in Music (Karnataka Sangeetham) examinations. 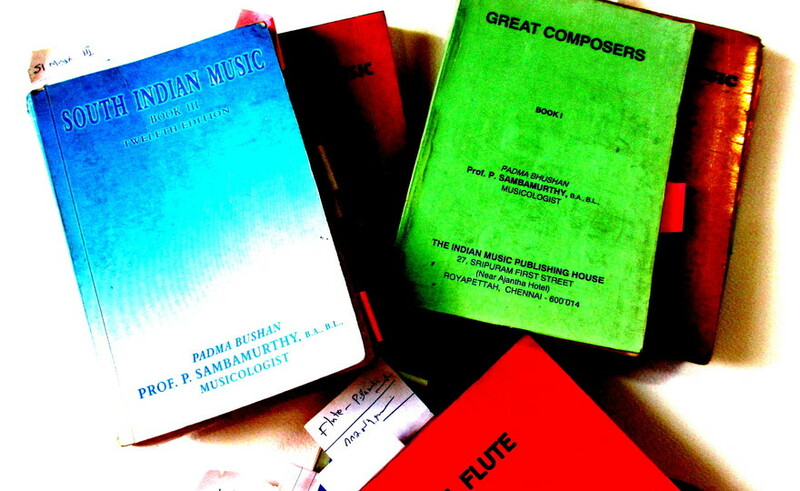 Government music colleges in Telangana and Andhra Pradesh also follow the same syllabus. So, if you are a music student from one of the above mentioned colleges, or preparing to appear for the university exam as a private candidate, you’ll find these texts useful. 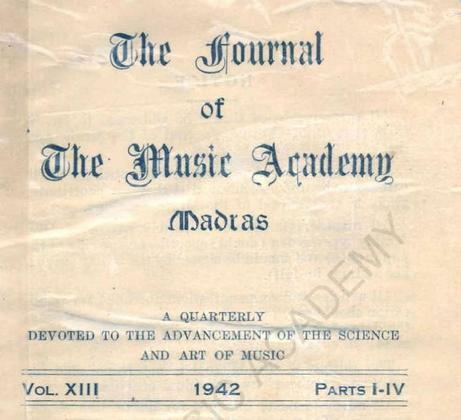 This might also serve as an easy-to-follow introduction to Carnatic music for those who are generally interested in the system but not appearing for any particular examination. License: Creative Commons - Free for Non-Commercial, Share-alike use.